Last week a lady came to medical clinic with her little baby. She was in desperate need of help. Emira’s Mom came to medical clinic but was looking for the maternity clinic. She’d heard that the maternity clinic does follow-up with new babies and helps with breast-feeding education. When she left, she was a part of the malnutrition clinic and her mom was part of the wound care clinic. Even though Emira is the 6th child in her family, her mom started to have problems nursing a few days after delivering — and stopped breast feeding her. She was only getting sugar water and pudding (water and flour, or crushed crackers and water) for the last two weeks. Emira’s mom now has bad Mastitis. Because she wasn’t breast feeding, she had an open wound in her breast about the size of a golf ball. 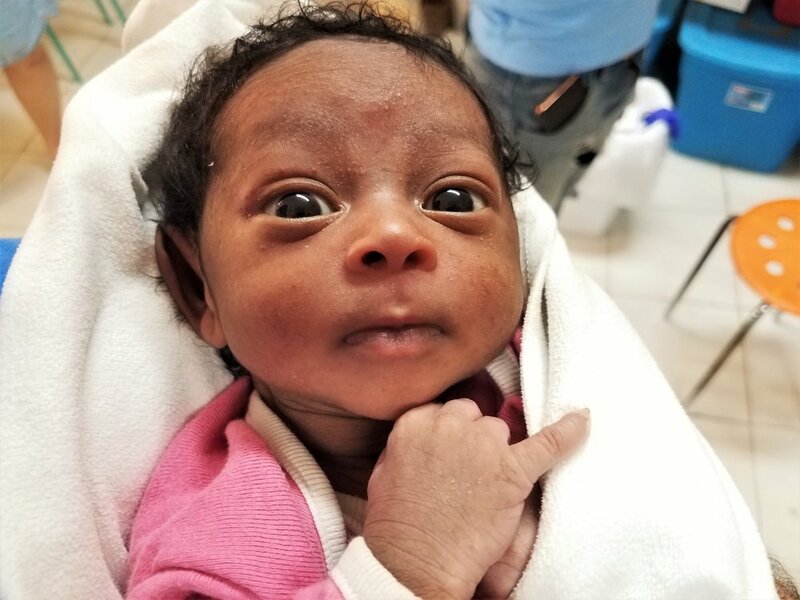 Emira is now in the formula program so that she can get the nutrition that she needs to grow up big and healthy and her mom is in the wound clinic so we can get her healed up — so she doesn’t lose her breast (or worse) from the infection she has. Please pray for both of them as they work to become healthy! And a big “thank-you” to those that support Kelby’s Kids! Through you, Emira and her mom can find hope and happiness through help and healing! Some patients are followed for a long time through the maternity clinic, wound clinic, malnutrition clinic or even Medical clinic. Judith is one of those patients. She came to the Maternity clinic early in her pregnancy. She made it to all of her appointments, so I was able to monitor her closely. It made it much easier to know if she was getting sick and was in trouble. Judith developed Preeclampsia in her last several weeks of pregnancy. I worked with her for a short time but was obvious that she was not going to improve. I sent Judith for a C-Section to save her life as well as the life of her 37-week baby. Judith with her “Graduation present” from the maternity program!! This surgery for the C-section was out of reach for her and her family. But because of your generosity, Kelby’s Kids was able to cover the $15,000.00 HTG surgery! While that is only $200.00 USD it might as well have been $20,000.00 to them because they could have never done it on their own. There are a lot of cute healthy babies that come though the clinics each week! We also get a lot who are really sick and need a lot of help. We often have to refer kids and families to other resources as their needs are far beyond the capabilities of the clinic. The sad part is knowing that they will either never go to those resources. Or, that those resources will turn them away because they’re overwhelmed. Or, they won’t try if they don’t think they can save the sick person. Or simply because a patient is disabled. One day I went to clinic for an appointment with a wound-care patient. A few minutes after I arrived, a mom came in with her baby. Even though she had him wrapped in a blanket, trying to hide him, it was obvious what the problem was — and that there was not a lot of hope. At 9 months, he weighs 34 pounds, an extreme opposite to most of the kids I see. Karen, who runs Coram Deo, the compound where all the clinics are held, has helped a lot of special needs kids over her 23+ years in Haiti. The mom knew this, and came holding out hope for her baby. Karen knows the director of the program and made a phone call and got him admitted. Even though his prognosis is very poor, he and his mom deserve a chance and a little bit of hope. 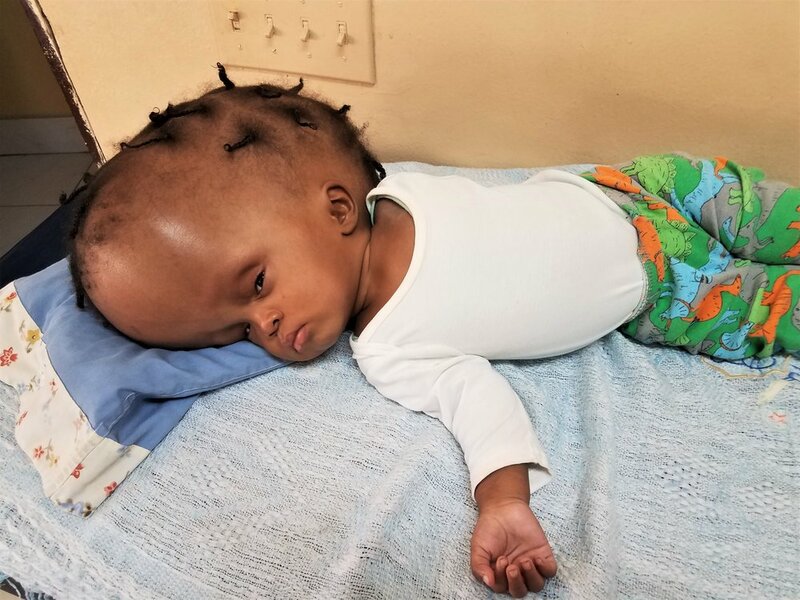 I have seen a lot of Hydrocephaly in Haiti. He was one of the worst. At 9 months and 34 pounds he has a head circumference of 32 inches. Please pray for his mamma as she goes through what is ahead of her. It’s break time!! As you read this, I am back into Michigan for a couple weeks of R&R. Things have been going well but it has been a very busy year so far. I think I have had 3 or 4 days so far this year that I haven’t seen at least one patient. It is also been rather stressful always watching for unrest, not knowing the next time you may get to go out to get water, food, or fuel or even just to go out and do life. It’s not good feeling when you know exactly how many times in the last month you have been able to leave the neighborhood. I appreciate all your prayers and messages of concern during and since the major protests which started in February. Haiti still needs a lot of prayers and help. The unrest are now more-isolated, but are also getting more violent. A lot of our patients are still having a hard time getting to clinic. They’ll say they heard gun fire as they leaving their homes. As much as rest and time away is essential to continue working in Haiti it’s also difficult to be away. 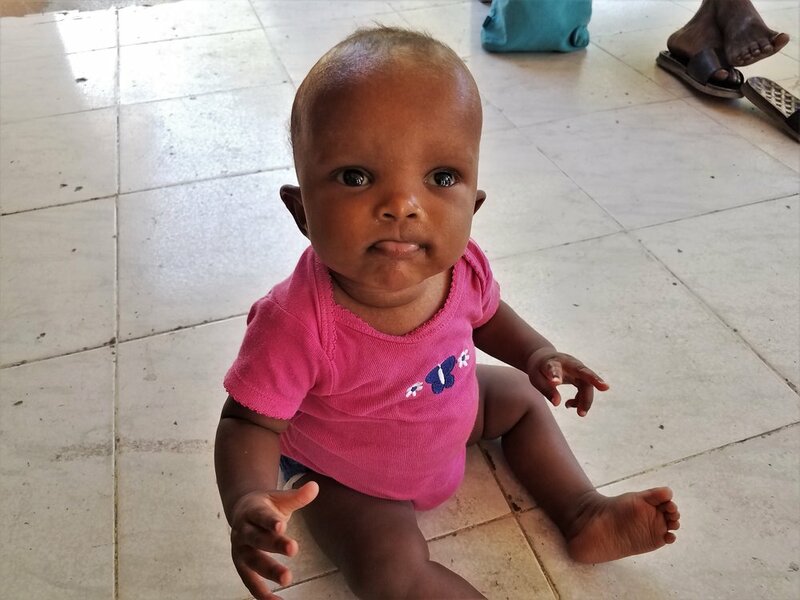 Tuesday morning, I got a call from the malnutrition clinic that Samuel’s mom, Ariel, had been killed. Samuel has been in the program since 2017 and you have seen him in my blog before. He was admitted because he was both malnourished but also needed to reach a specific weight before he would be eligible for heart surgery he needed. It was such a blessing to not only watch him become healthy but to also out-grow the VSD (ventricular Septal Defect) in his heart, — simply by getting the nutrition that he needed. The hardest part for me is that Ariel was taking Samuel to a doctor’s appointment — one I recommended! She was on her way to the appointment when she was hit by a car. Ariel was a good mom and cared very much about Samuel. The very last thing she did was for Samuel was throw him out of harm’s way — saving his life — just before she was hit and killed. Samuel and his other 4 siblings are being raised and cared for by his Grandmother now. Please pray for this family as they grieve Ariel’s death and adjust to life without her. Samuel on 10/2017 and again on 03/2019 with his mom Ariel. Thank-you for your continued support of Kelby’s Kids! 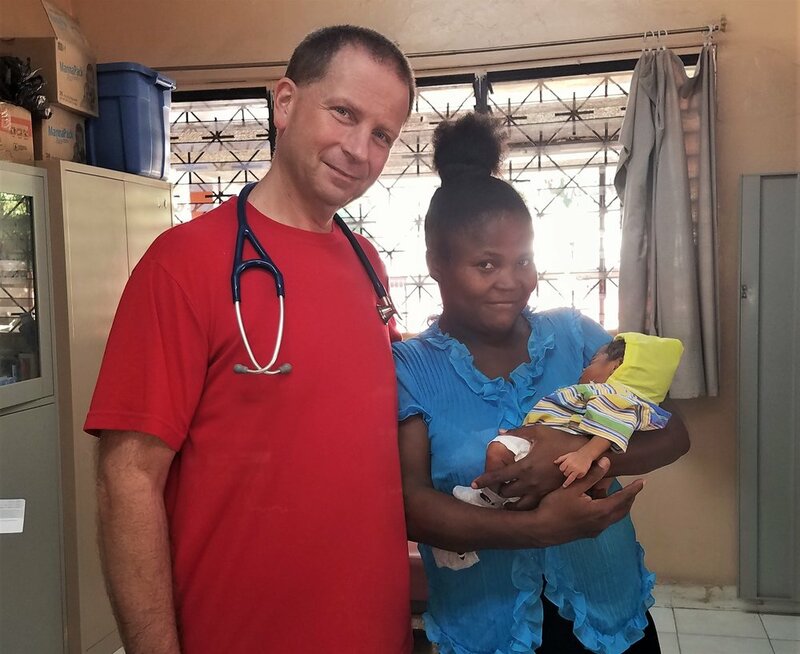 Without you I would not be able to be in Haiti serving the needs I share about in this blog — and the countless more I’m not able to tell you about. You are making a difference in the lives of so many people through your sacrificial giving and for that I am grateful. Make no mistake, through you, the people of Haiti are blessed! © Kelby's Kids. All rights reserved.